Advanced safety is only the beginning, however. The new C-HR also offers standard dual-zone climate control, available heated leather seats, and plenty of cargo space to help you get everything you’ll need, wherever you need to go. Explore the C-HR models currently in stock here at Findlay Toyota. Heated Leather Seats, Aluminum Wheels, iPod/MP3 Input, Back-Up Camera, LIMITED PACKAGE, Bluetooth. BLACK SAND PEARL exterior and BLACK interior, Limited trim. FUEL EFFICIENT 31 MPG Hwy/27 MPG City! AND MORE!======KEY FEATURES INCLUDE: Leather Seats, Back-Up Camera, iPod/MP3 Input, Bluetooth, Aluminum Wheels Rear Spoiler, MP3 Player, Keyless Entry, Child Safety Locks, Steering Wheel Controls. ======OPTION PACKAGES: LIMITED PACKAGE Driver+Passenger Cushion & Back Seat Heater. Toyota Limited with BLACK SAND PEARL exterior and BLACK interior features a 4 Cylinder Engine with 144 HP at 6100 RPM*. ======EXPERTS ARE SAYING: Great Gas Mileage: 31 MPG Hwy. Horsepower calculations based on trim engine configuration. Fuel economy calculations based on original manufacturer data for trim engine configuration. Please confirm the accuracy of the included equipment by calling us prior to purchase. Why Choose a New Toyota C-HR from Findlay Toyota? Extensive Inventory: With more than 900 new and used vehicles in stock, you’re bound to find the perfect vehicle for your active lifestyle. Research Tools: Learn about the Toyota you’re interested in, see how your vehicle compares to the competition, and find rebates, incentives, and new vehicle specials to help make your purchase more affordable. Apply for Financing: Easily learn about leasing and financing, check your credit score, value your trade, calculate your payment, and even apply for financing with just a few clicks right from our site. Schedule Service: Your Toyota comes with complimentary ToyotaCare basic maintenance for the first two years or 25,000 miles. Take advantage of it in our state-of-the-art service center and keep your car, truck, or SUV running right. 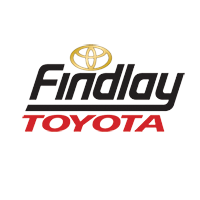 Stop by Findlay Toyota in Henderson today to enjoy our low prices and friendly service and see how car buying was meant to be.